Some people just know how to create their own destiny. Danea Passmore, for instance, started her career with Wauna Federal Credit Union, Clatskanie, Ore., as an on-call teller. Within a year she was promoted to full-time teller and then operations manager. Today, as vice president of training, she runs her own department. When Passmore took on the role of part-time trainer several years ago, the management team noticed her drive, determination, and dedication. “She was so committed to the credit union movement and our members and employees that she spent months networking and meeting with other credit union trainers and business partners, looking for the right training model,” says John Moore, chief sales officer for the $175 million asset credit union. Under Passmore’s direction, each employee has gone through a seven-week training program on sales and service, and leaders have been trained on effective coaching. Each new employee spends the first two weeks of employment being trained in the credit union’s culture and approach to member service. 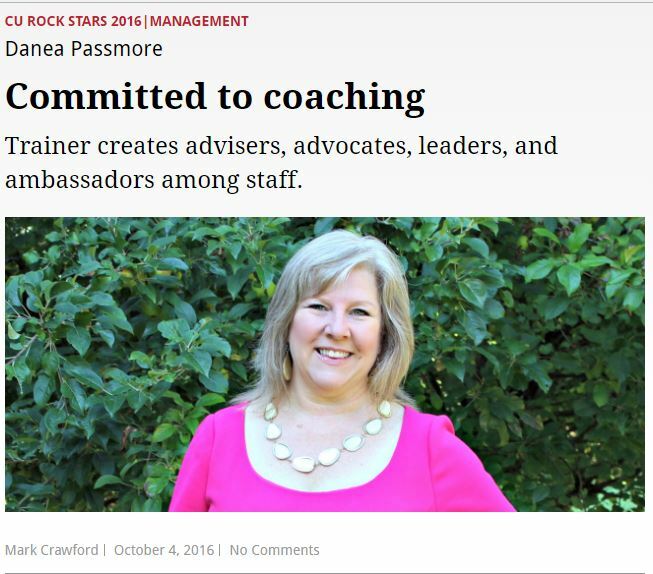 Passmore believes in training employees to be advisers and advocates, leaders and ambassadors. She is passionate about hiring for the right attitude first, and then providing the necessary training and support. As a result, members will stay loyal to the credit union because of its employees. “What we do within our four walls is create a member experience,” says Moore. “But our job doesn’t end there. Our involvement within the communities we serve, where we champion the credit union difference, is equally important. Previous Previous post: OCTOBER STATEMENT INSERT: Call for Nominations!